To say that I’ve had to make changes to my life and daily routine would be an understatement. With Cupcake’s arrival, everything changed. My sleep pattern is shot to hell (though last night, Bagpiper was amazing enough to take over and let me sleep all night long), the majority of my shirts have spit up on the shoulders because I haven’t had time to do laundry (or any housework) and the only meals I’m making are the quick-easy and often frozen kind (thank goodness for Bertolli meals!). But all of that was expected. Now that we are past the one month mark (time flies!) the new daily routine is starting to become a bit clearer and more steady. On Monday, I Skype-chatted with my writing buddies back home (and a new one from Australia — Hi Jodie!) and we discussed our writing goals for 2012. Now, I put together some fairly lofty goals, but I’d rather aim too high than too low. And though I meant to start writing on Monday, it didn’t happen. First, it was my birthday so I went out with some of the wives out here and celebrated. Second, by the time I got home Cupcake was waking and I had to take care of her. Third, I haven’t written since NaNoWriMo and I’m finding it hard to get back into the writing habit. Now it’s Friday, and I haven’t written all week. People, I have never been a plotter and my writing could never be described as organized. This is a hard change, but I’m determined to do it cause I miss writing! So since I didn’t write this week, I’m using the afternoon to make daily writing goals for next week. Thank goodness for OneNote…best program ever. 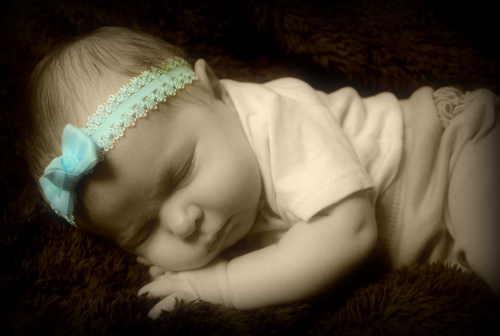 I had myself a baby photo shoot…and I didn’t even wake her while trying to pose her and stuff. Go me. Wow, time sure does fly. 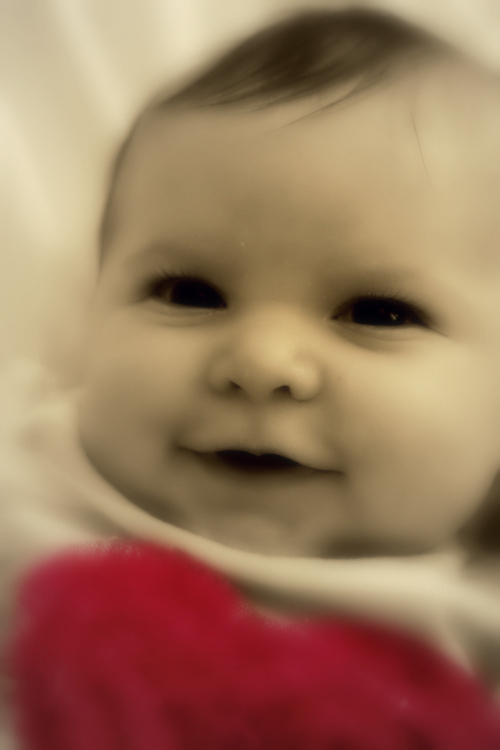 Today, January 11, 2012, the Cupcake is one month old! Seems like we just got home from the hospital a few days ago, but it’s already been a month since she entered this world and changed my life forever. As I stand on the cusp of motherhood, awaiting the arrival of baby girl, I think of all the special moments and memories my husband and I will enjoy with her. These moments, so ordinary and yet so extraordinary, deserve capturing. They deserve to be preserved in picture frames and photo albums. And not just the moments I will share with my family, but the moments you will share with yours. This is why I’ve decided to create Wonderland Memories. I want to capture all those moments that make life magical. Let me preface by saying I am not the only photographer on Okinawa. I am not the photographer who has been on the island the longest, nor am I likely the most experienced. 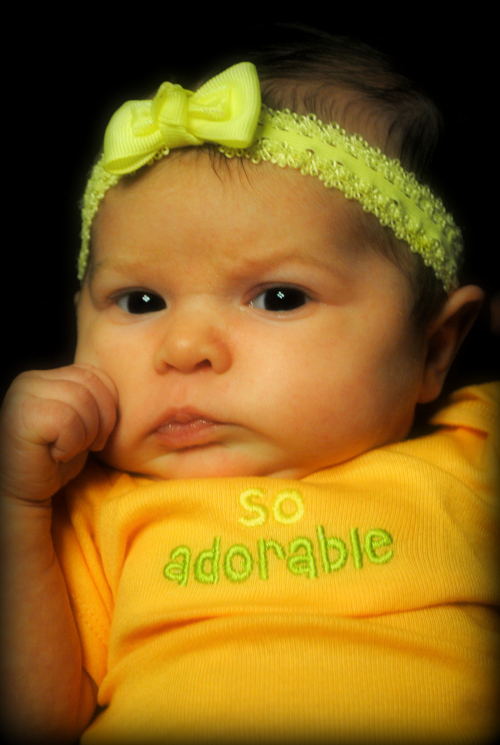 I do, however, have a creative eye and a passion for photography. I am not starting this business to get rich or to weasel people out of hard-earned money. I’m starting it because I enjoy taking pictures and I believe that when someone hires a photographer, it should be affordable. So if you live in Okinawa and you are graduating high school, getting engaged or expanding your family, let Wonderland Memories capture the magic of your special moments. I’ve always loved the beginning of a new year. I love the “blank slate” feel of them. That “I’m going to make changes!” feeling. 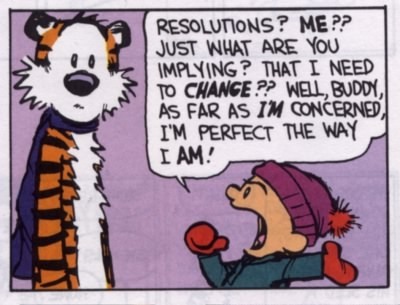 Unlike Calvin, however, I am far from perfect. I enjoy making new year resolutions and this year, I have a lot. One of them is this blog. Last year it began as my knitting blog and then, somehow, evolved into my writing blog. I’m currently in the process of moving my “professional” (writing) blog to another domain, allowing me to revert this blog to the crafty blog it was intended to be. Last year gave me many lessons in blogging, and I’m feeling pretty confident about being able to keep this one (and others) up throughout 2011 and beyond. To begin with, I’ll be updating this blog every Monday. As the year progresses I may begin blogging twice a week, but for now, once a week it is. So, to start the new year off with a typical bang, I’m posting my crafting resolutions! Like I said, I have a lot of resolutions this year. These are just my crafting resolutions — I have others for my writing, reading and personal life. What are some of your resolutions for 2011? If you don’t make resolutions, why not?